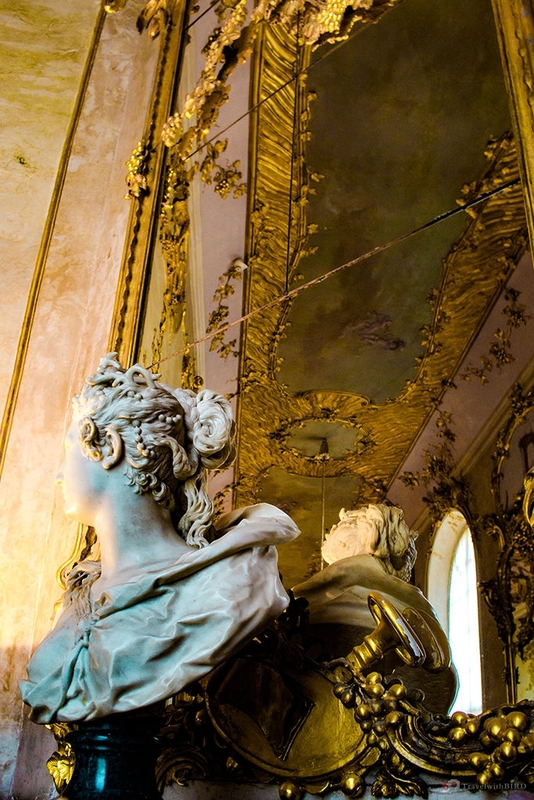 Sanssouci Palace Potsdam - The detailed travelogue with insider tips! Here we are again – Berlin and surrounding… on the way to explore new places. 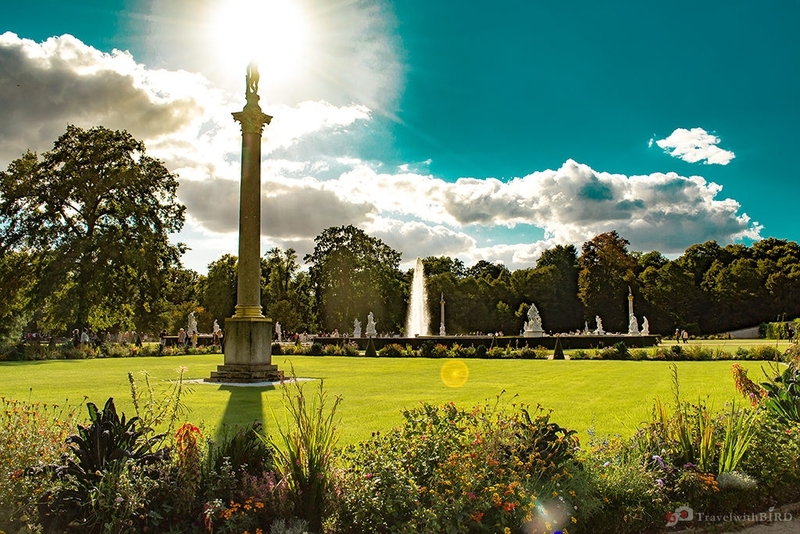 And this time we will tell you about a wonderful, majestic Sanssouci Palace in Potsdam. 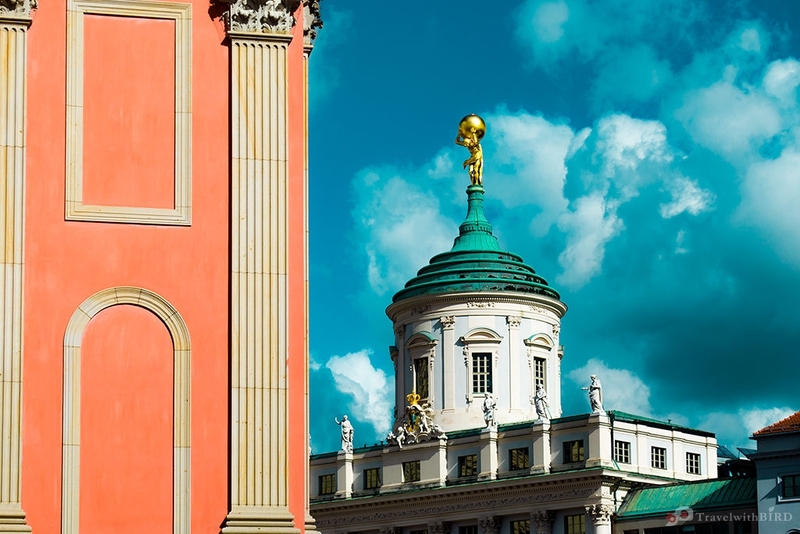 This Sanssouci palace has a history, which is full of lightness & brightness. History itself usually remains as a dark, negative era full of conflicts and wars. But Sanssouci Palace had left more or less a bright history behind. 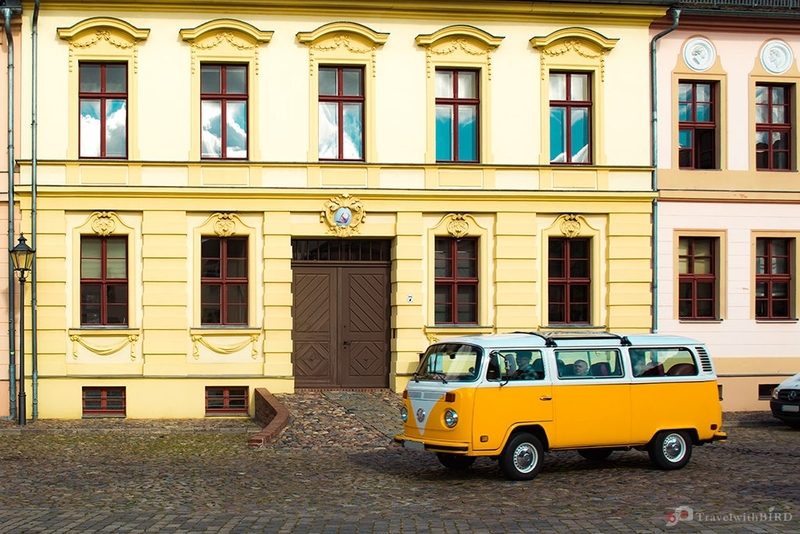 The Palace of Frederick the Great! The great king of Prussia built up this wonderful palace for joy and holidays. 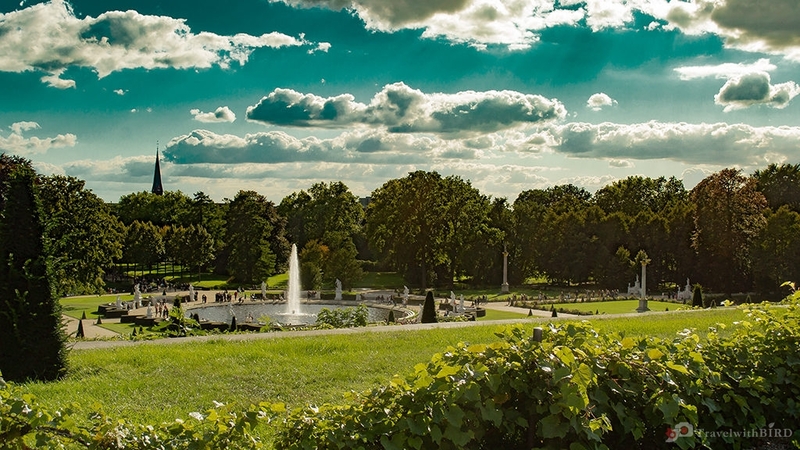 Sanssouci, translated as “without concern or without any worries”, a place where all the problems, politics are left behind. The aim of the palace was mainly for relaxation and party. Sanssouci palace was built in an extremely short time – Only in two years (1745-1747) the palace was already standing freshly and ready to be used for the king itself. 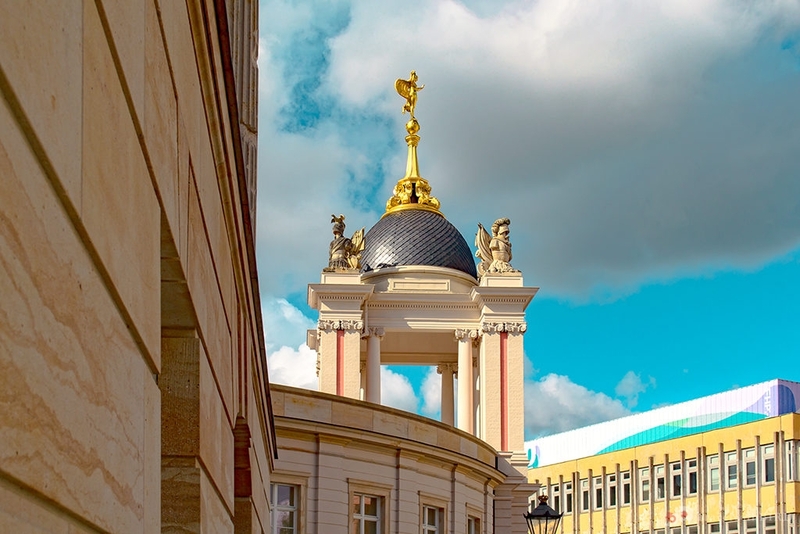 The architecture of Sanssouci palace is called as “Frederician Rococo”, meaning that the king itself had a strong influence on the Sanssouci palaces design. Frederick fired the first architect of the palace due to misunderstanding and disagreements between the architect and the king. Frederic the Great did not agree to build up the “piano nobile” ( meaning the noble, ground floor) for the palace, so therefore now we can admire the palace from the lower park as more like an Orangerie rather than a palace. But lets move more inside of the Sanssouci palace, the place which was considered as a mirror of Versailles. 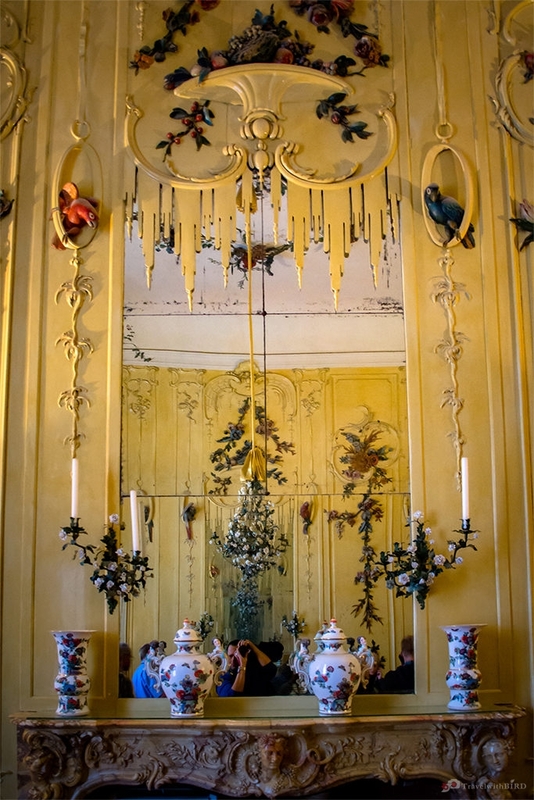 Of course, no doubt that Frederick wanted to have a mini-Versailles for pleasure for himself. He wanted the Sanssouci palace to be for his private-use and pleasure. The entrance to the museum, was through the servant-part of the palace. From there we accessed the other parts of the palace, first we had a look at the beautiful circular library, where the books were covered with beautiful red goats leather. Frederick collected a lot of French literature, also as Latin literature. The library include also a huge collection of Voltaires works. 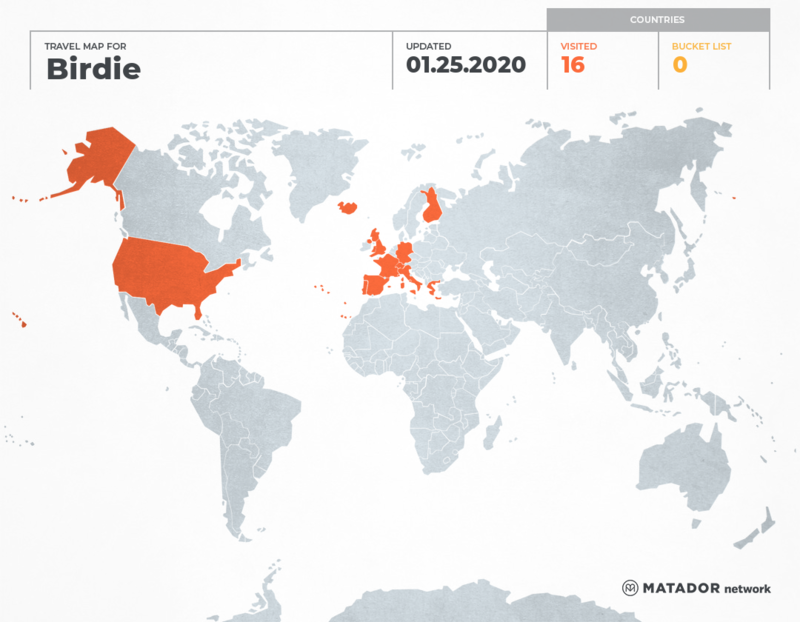 Why Voltaire played a big role also in the library’s collection I will tell a moment later. First room we accessed was a beautiful hallway full of decorations that were representing nature. Included beautiful details of grapes, other fruits, birds and flowers. The design was focusing on the theme of holiday and relaxation. This beautiful hallway owns many beautiful paintings and sculptures that Frederick got as presents from his visitors or when he was a guest himself. The pink chairs that are located against the wall in this hallway are not meant to be seated by anyone. They are mainly for design reasons there to give an impression of a bigger hallway. The main entrance of the Sanssouci Palace is through Marble Hall, which was usually a place to greet the guests (reception room) and also a place where companion gathered together for an evening or a party. I would like to mention here first the floor of this room, which was decorated with amazing marble patterns that represented images of fruits and flowers. 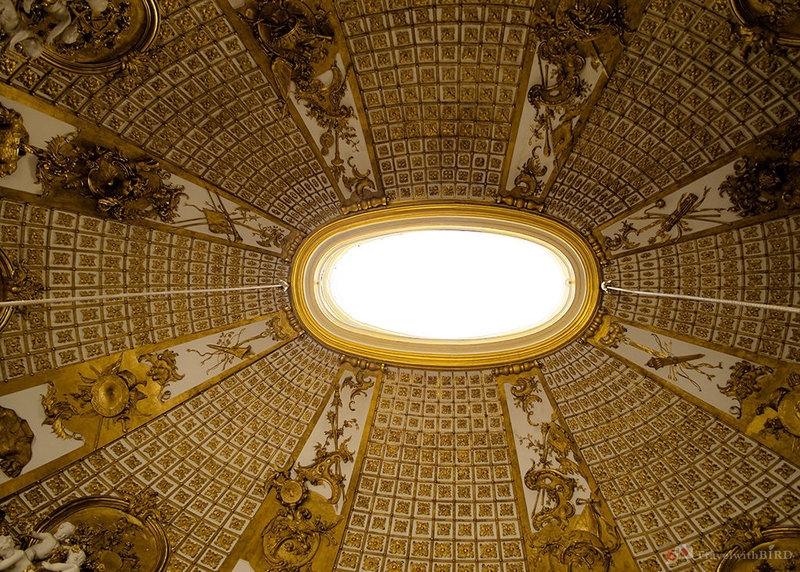 At the top of the Marble Hall is a gold cupola that gives an impression of eternity, endless way to the sky. The inspiration was taken from Romes Pantheon temple – of all gods. 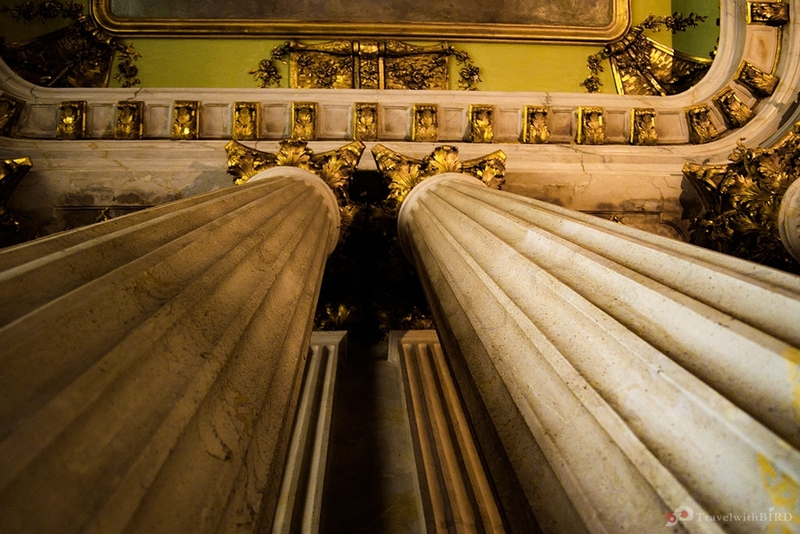 The room is surrounded by white Corinthian columns that give the classical and elegant shade to the room. The Fredericks study and bedroom was combined to one whole area, that is slightly separated with a corner where he worked. His bed was located next to the fire place and the study room was behind it. The chair and the desk are nowadays located next to the fire place. 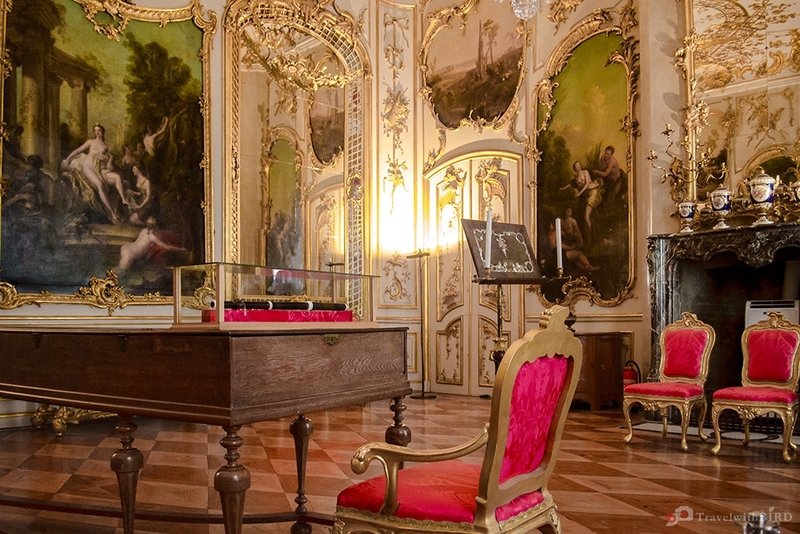 The chair, where Frederick the Great died was returned to the palace in the middle of the 19th century. The room differs from the rest of the palaces design with its scent of classicism. Frederick wanted the room to be classy and simple. This was necessary for him to stay in calm and gave him the best atmosphere for working. After Fredericks study and bedroom follows the entertainment room, so called music-room. This was the place to gather together for socializing and playing and singing. Perfect place for the evening, where the sunset got down. Beautiful big mirrors just opposite to the windows gave an amazing illusion of endless sky. The reflection from the mirrors was fantastic during the evening hours, when sun went down. Next come the guest rooms. Each with own design and atmosphere. 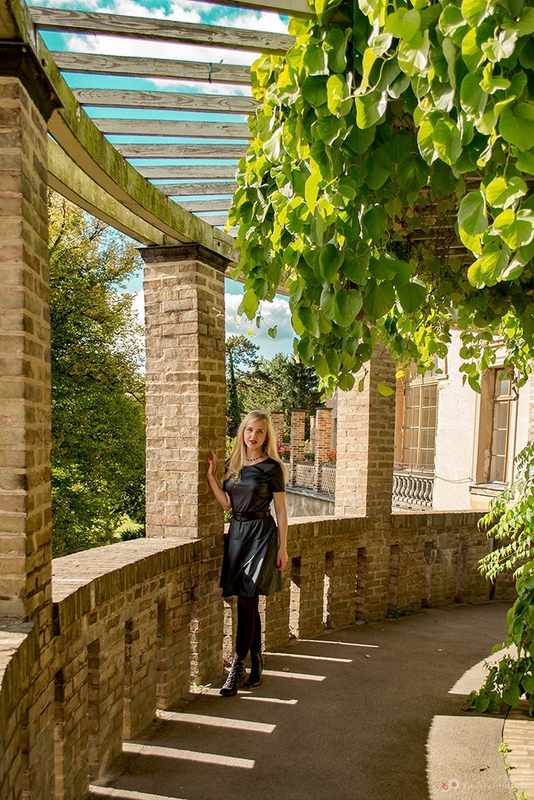 The honour to be invited for Fredericks Sanssouci palace and being places as a guest in these guest rooms means that you are a very close friend of Frederick. The last room is called as “flower room” or as Voltaire room, because Voltaire was staying by the palace for three years and had an honour to use the room during his stay in Potsdam. 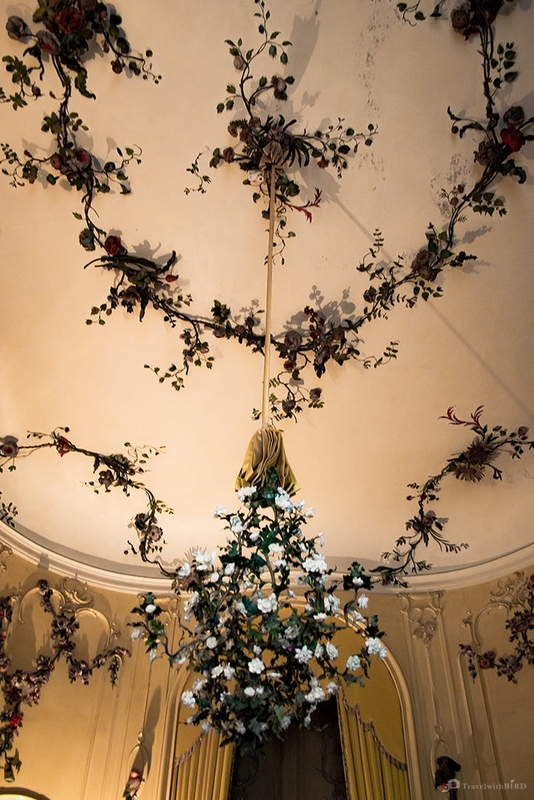 Let me tell you here a bit more about the flower rooms decoration. Very warm and tropical decore of the room gives a light feeling. The details that represent different kinds of flowers and animals on the walls and ceilings are colored with beautiful colors. The flowers that are used as a decoure in the room, are the plants that Frederick was growing in his garden. The birds such as parrots, cranes look like they are alive and will fly away any time possible. 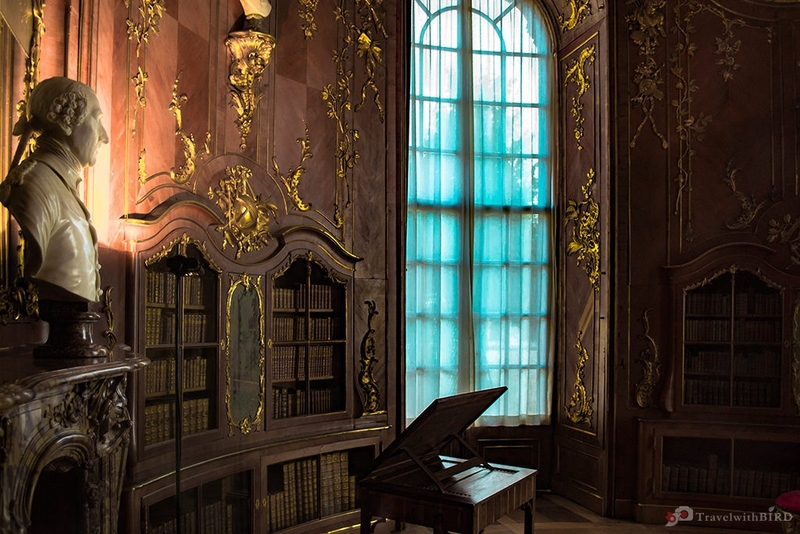 The room was designed by Hoppenhaupt in 1752. This was the last room of our tour in Sanssouci Palace. Other parts of the palace, like west-wing (in other words Ladies wing) or east wing we did not visit yet. Just an interesting fact about the west wing. As I mentioned that it was also known with the name “ladies wing”. The ladies in waiting were living in this part of the palace. The ladies in waiting, in other words – the companions for the queen and other members of household were mainly located in this wing. That was our visit to Sanssouci palace, dear peeps! We enjoyed a lot and are sure you will do so too once you visit this amazing palace. What a palace, to relax and party! Frederick the great was a cool guy, making a mini-Versailles for himself. I can imagine there has been a lot of great times at this palace! I suppose it was such a humbling experience for you to wander inside this palace. Important historical figures once walked and lived here. You did justice to this majestic palace with your very informative, detailed post and excellent photos. Well done! 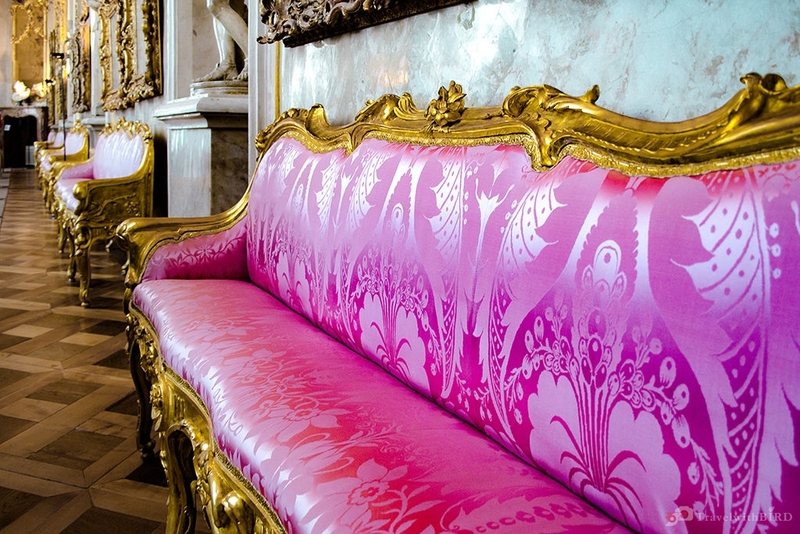 Love the intense detail of rococo design – my favorite. 🙂 That fuchsia couch calls to me! Would be a marvelous trip with the kids! I’ve never visited Sanssouci but I’ve heard about it. This was such a lovely read and the photos are just stunning! This palace reminded me so much of the Versailles in Paris. 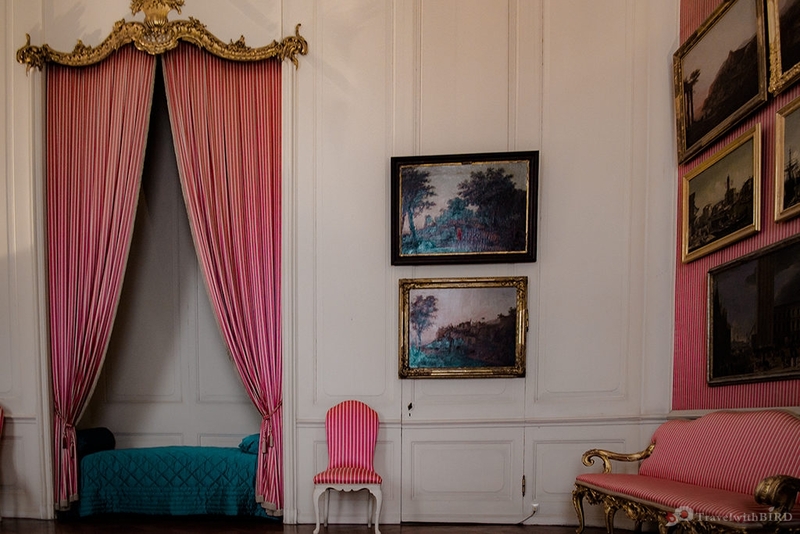 I could seriously see Marie Antoinette on that pink sofa. It is crazy that the palace was only built in two years! Usually such buildings take up to a decade at times. Next time I head to Germany, I will be sure to include Potsdam. What a beautiful place, the photos are very nice! It is wonderful to see all the old furniture and decor. I am a sucker for all those ornate, antique style furnishings. Than you, Miss Bird ! Wonderful pictures !